Although the Bible is a well-known book there are many things within its pages that have been misunderstood neglected or over looked. 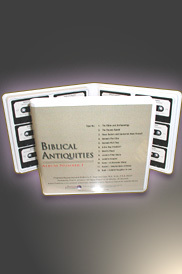 These Bible studies will take you on an inspiring journey into new evidence that explains some of the most monumental and controversial events of the Bible including factual information concerning the history and migrations of the Hebrew People. Records of 20th century archaeological excavations have been carefully researched in conjunction with the works of both ancient and modern historians and ethnologists in an endeavor to present a clear cut and concise presentation of the evidence disclosed. Research into things Scriptural should be a matter of supreme interest not only to Christians in general and Bible lovers in particular but also to all those who find pleasure in the study of the recorded history of ancient people. To the Christian the proof of the Scriptural narrative from secular sources is both support of his faith and a defense against the attacks of those who with wholly inadequate evidence assail the Scriptures with skepticism regarding it as a mere collection of myths fables and folklore. All tapes are timed for 29 minutes 30 seconds and side two is a duplicate of side one.